Since purchasing a travelmate in Singapore almost six years ago I have loved this model. It served me well through university and when I left I bought this new model 2423. They have both been so reliable. Never faulting, always faster than you! They are great machines, built to last! 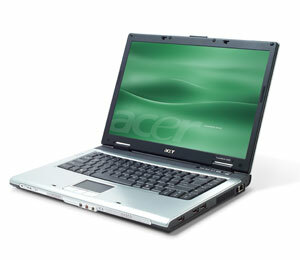 This is acer's best selling notebook and it is easy to see why. With a 2.5 hour battery life and a slimline chassis, this laptop weighs in at only 2.5 Kgs, all at a great value. 370: » Further information can be found in our Comparison of Mobile Processsors.